?/1986 - ?/19?? 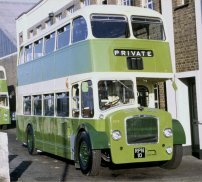 Brighton & Hove Bus & Coach Company Ltd.
1/1969 - ?/1986 Southdown Motor Services Ltd. 2010. Renumbered 3226, ??/? ?